“I thank my God in all my remembrance of you … because of your partnership in the Gospel from the first day until now” (Phil. 1:3-5). July 30, 2018: The convention proceedings and presentation slideshow have now been posted. If you have questions about anything in the proceedings, please contact District Secretary David Meier at secretary@kslcms.org. Presentation Description: When we stand back and look at these broad strokes of the Christian faith—mercy, witness, and life together—it might be argued that life together is most instinctive, and therefore the easiest to live out. I mean let’s face it, we struggle with mercy. How far do we go when people in the world are malicious and would be happy to take advantage of us? As for witness, evangelism might be the single most intimidating word in the church! But life together? Don’t we do this all the time? Isn’t this the easy part? In truth, the answer is “yes and no.” It is the easiest part because life together has already been created for us in Christ! At the same time, life together is our call to drown the old man and rise up in the new so that we would confess Christ to all for whom He lived, died, and rose, and to demonstrate His compassion to a world in which love is growing increasingly cold. 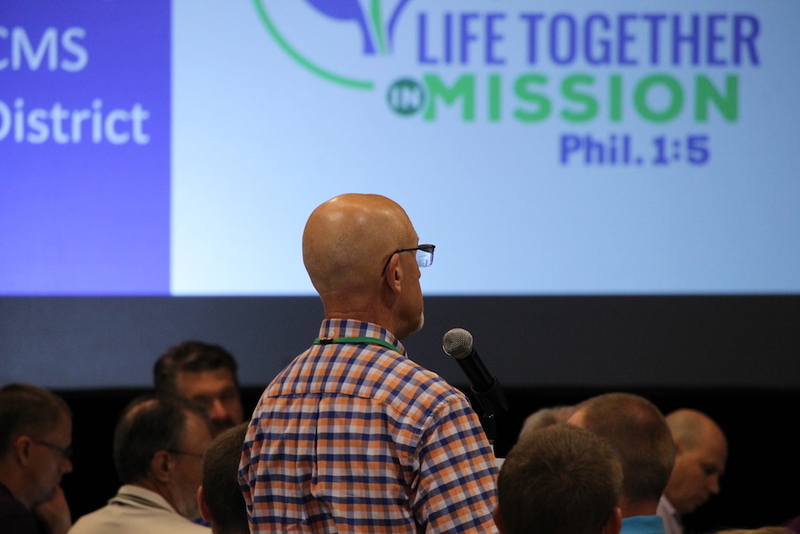 The implications of life together, therefore, must be known, and these will be applied to: 1) Life together for congregations, 2) Life together for districts, and 3) Life together for the world. We will employ in all three areas a fundamental principle from Bonhoeffer’s book Life Together: “We belong to one another only through and in Jesus Christ” (Harper & Row, p. 21). What does this mean? 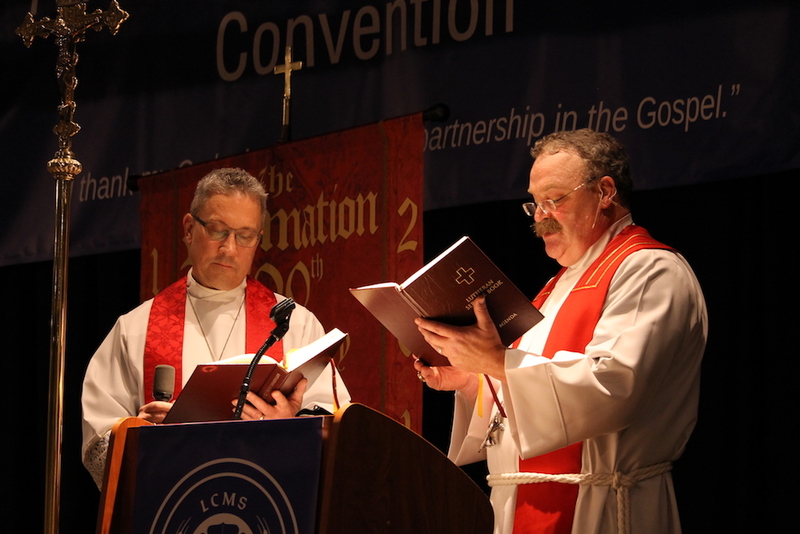 The goal of the three presentations is to unpack the answers in application to congregations, districts, and the world. The convention worship service was held Thursday, June 7, with Immanuel Lutheran Church of Norton as host congregation and Synod President Rev. Dr. Matthew Harrison as preacher. The convention offering, received at the worship service, totaled $2945. This offering will be added to The Rev. Dr. Eugene Schmidt Memorial Mission Fund, which supports mission projects such as church planting, revitalization, and specialized ministries. Deadline for submission of overtures to District Office. Submit electronically to ksdconvention@gmail.com (preferably as a Word document). A signed copy of the overture should then be mailed to the District Office.